Did another year really just pass? I know it sounds cliche, but it honestly seems as if it wasn’t that long ago that we were welcoming 2017 and yet now we are bidding it goodby. When did time begin passing at warp speed? And more importantly, how do I slow it down, at least a little bit? It’s not that 2017 was a year that I particularly treasured. Like most years, it had its good points and its bad points. I could have lived without the two root canals and the three new crowns (those hurt both my mouth and my wallet), and the less said about the numerous varicose vein treatments I endured, the better. I wasn’t a fan of the summer drought and the damage that wrought on the local environment. And one way or another, I said good-bye to a few dear friends whom I miss very much. But 2017 also had it’s good points. I enjoyed a fun beach vacation with my family, reconnected with some old friends I hadn’t seen in far too long, and got to experience an (almost) total solar eclipse. My blog was featured on WordPress “Discover” which put me in touch with interesting and talented writers from all over the world. But best of all, I got the wonderful news that a grandson is on his way and, if all goes well, he should be arriving soon. Aside from the chance to finally be a grandmother, I really don’t know what 2018 will bring. I’m sure it will be a mix of highs and lows, the same as almost every other year. I’m equally sure that it will pass by quickly, or at least that it will seem that way to me. I had always heard that the older we get, the faster time flies, but I guess I had to actually experience it before I believed it. I learned long ago to stop trying to make New Year’s resolutions because I rarely manage to keep them. But I hope, now that I’ve reached the point in my life when time is passing far too quickly, that I will remember to treasure the good times and the good things that do come my way. I’d like to stop hurrying through a life that is already moving along faster than it should. I want to try savor the moments and to live in the present, especially now that I realize just how quickly the present becomes the past. Time may be moving more quickly for me, but that’s okay. I still have time enough left to enjoy the people and the things that I love, and that’s good enough for me. There’s no denying it, life is busy these days. Most of us spend our time rushing madly from one commitment to another, trying to meet the demands of our jobs, our families, or whatever it happens to be that requires our time and attention. So it’s only natural that we look for areas in our lives where we can cut back, and chores are ignored, obligations are dodged, and relationships are neglected. And sadly, one of the things we are often too quick to let go of is our friendships. I remember being shocked once when a friend told me, “I’m not interested in making any new friends, because I have all the friends I want already.” But now I understand what she meant. Friendships, like all relationships, take time, and there are just so many hours in the day. So in an effort to maintain her current friendships, she had simply declared a moratorium on making any new ones. I think the same theory is at work when people make room for a new friend in their life by dropping an old one. But for me, my friends, both old and new, are too precious to let go. So I have been vigilant about trying to stay in touch with my old friends, even during the phases in my life when I have very little time to spare, and for the most part, I’ve been successful. Sometimes connecting is as simple as a quick text, other times it’s a phone call just to touch base, while still other times it involves a drive across the state for a girls’ weekend with my high school friends. However it happens, it’s time well spent, because it means we are keeping the friendship alive. Recently, I enjoyed a high school reunion where I reconnected with many old friends, was visited by one of my best friends from college, and had lunch with a dear childhood friend who now lives on another continent. 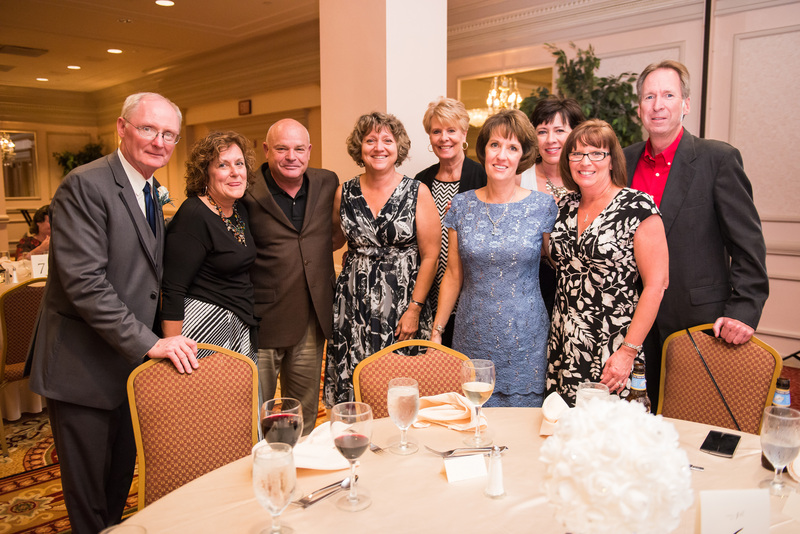 I was thrilled when several of my life-long friends, even those who live far away, attended my daughter’s wedding. There’s just something so satisfying about sharing my life’s major moments with people I have known for decades, and in meeting a friend I haven’t seen in years and still feeling that instant, close connection. With every single encounter, I find myself being so very glad that I made the effort to stay in touch with my “old” friends. Yes, making friends and keeping old friendships alive does requires a certain amount of time and effort. But I’ll gladly put it in, because they’re worth it.